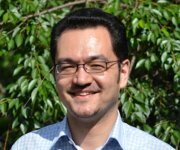 Dr. Philip Tam is a Sydney-based child psychiatrist and researcher in private practice, and a lecturer with Sydney University. He has a long-standing clinical, teaching and advocacy interest in the challenging field of internet and computer-related disorders, and regularly lectures on the topic to both specialist and general audiences. He also regularly comments and writes on the field across the Australasian media. In 2013, he was asked by the American Psychiatric Association, to join their influential International Working Group which was set up to assist in the research and classification of what is termed 'Internet Gaming Disorder'. This is a rare honour for an Australasian-based psychiatrist. Jill is a Sydney-based Neuroscience Strategist in Learning & Development, who researches, educates and consults in enhancing the use of positive technology, corporate culture, and employee relations. She works at the coalface with young people and parents, often in the family setting, and integrates cutting-edge research into increasing effectiveness in strategic decision-making, and heightened learning for greater impact. Garry is Professor of Child and Adolescent Psychiatry at the University of Sydney. Previously Director of the highly-regarded Rivendell Adolescent Unit in Concord, and Director of Northern Sydney Local Health District's Mental Health Services, he now works in private practice and continues his international research and writing. A child and adolescent psychiatrist of global renown, Garry has lectured and published extensively across a range of topics, including in ethics, cultural and media-related fields, in addition to the more “traditional” subjects such as psychiatric disorders and their treatment. From 2001-2014, Garry was been Editor of "Australasian Psychiatry", and he is also International Editor-at-Large of the "Journal of the American Academy of Child and Adolescent Psychiatry". Prof. Kim Young is a licensed psychologist and an internationally known expert on Internet addiction. She founded the Center for Internet Addiction in 1995 and is nationally-known speaker, author, and researcher. She has written numerous articles and books on Internet addiction including Caught in the Net, the first to identify Internet addiction, Tangled in the Web, Breaking Free of the Web: Catholics and Internet addiction, and Internet addiction: A Handbook and Guide for Evaluation and Treatment. She is a professor at St. Bonaventure University and her work has been widely featured in the media such as The New York Times, The Wall Street Journal, The London Times, USA Today, Newsweek, Time, and CNN. Prof. Young visits Sydney in August, 2013, and is particularly pleased to be invited to join the Expert Advisory Board of niira.